In recent years I have erected several owl boxes in my local area. Having not seen any barn owls recently I was pleased to see an owl entering one of my nest boxes a couple of days ago. Yesterday I placed my trail camera nearby to see if the owl is a regular visitor. 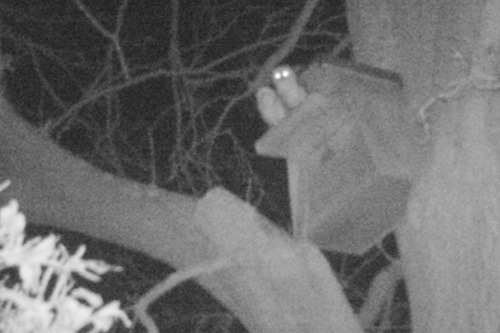 When I checked the footage this morning I was delighted to see I have a pair of barn owls in residence. I'm keeping everything crossed now in the hope that they will breed. Watch this space!